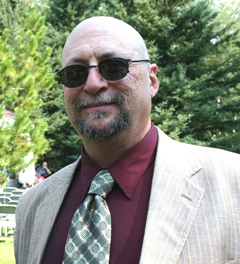 Wendell Kisner is Associate Professor and Program Director of the MA-Interdisciplinary Studies Program at Athabasca University, and has been teaching for over twenty five years. His research and instructional interests include the texts of Agamben, Badiou, Deleuze, Derrida, Hegel, Heidegger, Levinas, Nietzsche, Plato, and Zizek, and topical areas of interest include ecological thought, philosophy of biology, phenomenology, hermeneutics, political philosophy, and interdisciplinary theory. He is author of Ecological Ethics and Living Subjectivity in Hegel's Logic: The Middle Voice of Autopoietic Life (Palgrave-Macmillan, 2014). He lives in the Canadian Rockies and ventures often into the mountains to experience what Plato called the beginning of philosophy. Giorgio Agamben, Alain Badiou, Gilles Deleuze, Jacques Derrida, Hans-Georg Gadamer, Felix Guattari, G.W.F. Hegel, Martin Heidegger, Immanuel Kant, Emmanuel Levinas, Maurice Merleau-Ponty, Antonio Negri, Friedrich Nietzsche, Plato, Slovoj Žižek. “The Medial Character of Interdisciplinarity: Thinking in the Middle Voice.” Issues in Interdisciplinary Studies No. 35, pp. 29-52 (2017). “Agamben’s curio cabinet, animality, and the zone of indeterminacy.” Cosmos and History: The Journal of Natural and Social Philosophy. Vol. 13, No. 1, 2017. Ecological Ethics and Living Subjectivity in Hegel's Logic: The Middle Voice of Autopoietic Life. (2014). Palgrave Macmillan. "Interdisciplinary ensembles and dialectical integration: a proposed model of integrated interdisciplinarity," in Valences of Interdisciplinarity, Athabasca University Press, 2012. "A Species-Based Environmental Ethic in Hegel's Logic of Life," The Owl of Minerva, Vol. 40:1 (2009), pp. 1-68. The concrete universal in Žižek and Hegel (2008). International Journal of Žižek Studies. Vol 2, No 2. The Fourfold Revisited: Heideggerian Ecological Practice and the Ontology of Things (2008). The Trumpeter, Vol. 24, No 3. The Category of Life, Mechanistic Reduction, and the Uniqueness of Biology (2008). Cosmos and History: The Journal of Natural and Social Philosophy, special issue "What is life?" Vol 4, No 1. Agamben, Hegel and The State of Exception (2007). Cosmos and History: The Journal of Natural and Social Philosophy, Vol. 3, No. 3. Also published as a book chapter (see above).